Contact maintenance professionals with this accurate, targeted lead list from Bookyourdata.com. 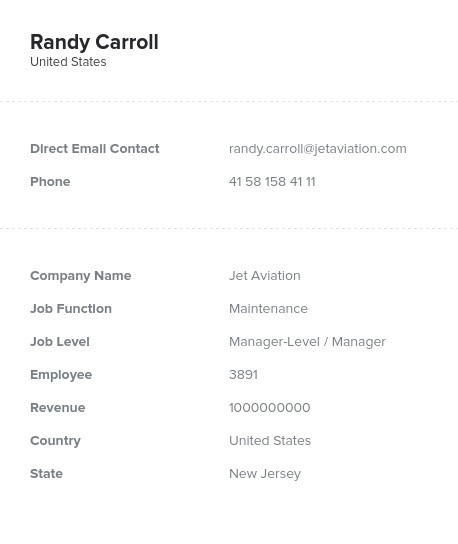 Find the emails, names, and contact information of professionals working in the maintenance departments of many different companies and institutions with this ready-made data product. Any successful marketing campaign starts with an integral step: finding contacts in the specific target audience. In this case, you can find and market to the maintenance professionals you'd like to reach out to. Easily look up maintenance professionals and maintenance managers at a host of different companies. Pull a diverse, spread-out group of people into one organized database. With Bookyourdata.com, you can get an extensive list of maintenance professionals' emails, phone numbers, titles, names, company information, fax numbers, and more! This ready-to-download email list is perfect for those marketing tools, software, and equipment for maintaining facilities at both large and small enterprises. If you happen to be showcasing a new, innovative tool, a comprehensive safety program, or a CMMS software solution, this data product can jump-start your business-to-business (B2B) marketing campaign. With this list, you can call, email, or mail many different companies in one go and let them know about your company's maintenance product or service. Pull this maintenance email list now, or feel free to customize your list even further to zero in on your target audience with our list-builder tool. You can find the key contact information to get in touch with maintenance decision-makers now!